This year’s Bristol Sports Festival will include group rides of several distances on Saturday, September 26th. For more details, please see the official ride website, or click here to download a PDF of the event brochure. Do you know anyone who has been ‘doored’? By that, I mean riding alongside parked cars, and having a driver or passenger open their door into the path of the bicyclist. It’s not uncommon, although I personally know of only one such crash. The experienced adult cyclist suffered a broken arm. There have been cases where the cyclist has fallen under the wheels of an overtaking vehicle, resulting in serious injury or death. 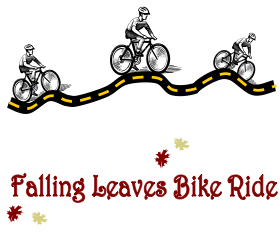 Here’s what the League of American Bicyclists has to say. There will be a great local ride to benefit hospice care on Sunday, September 13th. I’ll paste a few details below, but check out the event’s official page through the Center for Hospice and Palliative Care for registration and the latest information. Sunday, September 13, 8 a.m.
12 years & under ride free! 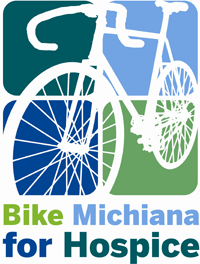 Proceeds benefit The Center for Hospice and Palliative Care and the Bike Michiana Coalition. Enjoy the area’s best SAG stops! Just saw this in the eTruth. Jerry Pollock of Goshen just completed a 1300 mile ride around the Great Lakes to raise money for local children’s hospitals. Read the ARTICLE about his return in the Elkhart Truth. See the WEBSITE describing the ride and how you can help. In 2009, we came very close to getting a bill pased. The legislative team has already started work on the 2010 campaign, and we expect Indiana to be a more bicycle friendly state come next year.